A mobile phone number is required in order to create an Obie Tech account. You may provide and we may collect other information, including profile name, picture, and status messages. In using our Services, your phone number, profile name, photo or other image, and any status message, including read receipts, may be shared with other users.A mobile phone number is required in order to create an Obie Tech account. You may provide and we may collect other information, including profile name, picture, and status messages. In using our Services, your phone number, profile name, photo or other image, and any status message, including read receipts, may be shared with other users. We may or may not retain your messages in the ordinary course of providing our Services. However, once your messages (including chats, photos, videos, voice messages, files, or other information) are delivered, they may be deleted from our servers. If a message cannot be delivered immediately (for example, if you attempt to send it while you are offline), we may keep the draft on our servers for up to 30 days as we try to deliver it. If a message is still undelivered after 30 days, we may delete it (of course, your messages may be stored on your own device). To improve performance and deliver media messages more efficiently, such as when many people are sharing a popular photo or video, we may retain that content on our servers for a longer period of time. We also offer end-to-end encryption for our Services, which is on by default, when you and the people with whom you message use a version of our app released after April 2, 2016. End-to-end encryption means that your messages are encrypted to protect against us and third parties from reading them. In using the Services, you agree to allow us access to the contacts in your mobile address book, including contacts that use the Service as well as those that don’t. As provided in the Terms, you further acknowledge and agree that you are authorized to provide us access to your mobile address book and the information listed in it. As a function of using the Services, you can create, get invitations for, or join to groups and broadcast lists. We may also create a list of favorites (which may include, for example, the people you interact with most frequently using our Services). Members of any group or list that you join would have access to your account information. In providing assistance in connection with the use of the Services, we may require you to provide certain information, including copies of messages, contact information, or other information relating to the performance of or any issues relating to the operation of the Services. We receive information about your usage of our Services, including your online status, when you last accessed the Services, your interactions with other users of the Servicse (including, for instance, status messages), log files, diagnostic information, performance logs, and other technical reports. • Payment Information. To the extent that you purchase any Credits and/or Virtual Goods (as defined in the Terms), we will receive your payment information, as well as receipts, confirmations, and other information received from any third party payment processors. When you install, use, or access the Services your device automatically transmits and we receive information identifying your device model, as well as your operating system, browser, IP address, and mobile network information. To the extent that you activate the location function on your device, we also receive location information. Information Collected From Other Users. We collect information from all our Users, and some of that information may relate to you. As an example, your phone number may appear in other Users’ contacts, who would share that information with us as part of their use of the Services. We may work with third-party providers to help optimize, maintain, and promote our Services, including, for instance, app distributors, map providers, and payment processors. Under certain circumstances, these third party providers may provide information about you to help us optimize our Services. To the extent that you use any third party services to access, share content from, or otherwise use our Services, we may receive information from such third party. Such third party’s own terms and privacy policies governs your use of their services. In addition, any third party provider that receives your information from us does so subject to our express terms and/or with your explicit authorization. We use the information collected to better understand the User experience and to optimize customer service. We also use your information (including cookies) to respond to Users that contact us. 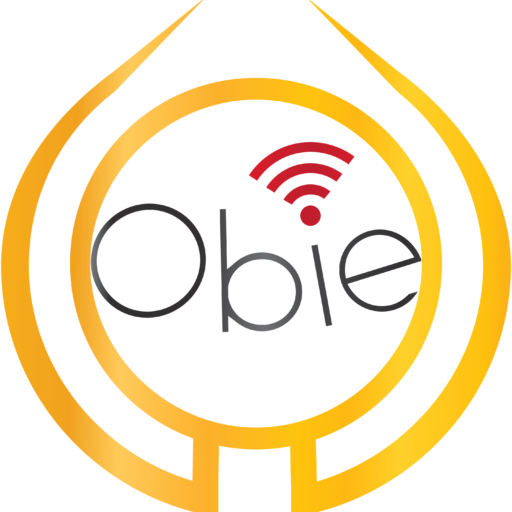 We may also share information with any companies affiliated with Obie Tech in order to improve all our services, products, and offerings. We use information to ensure that our Services are kept safe and secure, including by verifying that Users use the Services in accordance with the Terms and consistent with applicable laws and regulations. Communications We Share With You. We use information to contact Users about the Services, including offers, advertisements, promotions, and updates to our Services, as well as our terms and policies. Deleting Your Obie Tech Account. You may delete your Obie Tech account at any time. When we delete an Obie Tech account, we delete all undelivered messages and other information we no longer need to operate and provide our Services. Deleting your account does not delete the messages you sent to other users of the Service, or any information conveyed in them. • Protect Obie Tech and its users. 415 Madison Ave., 13th Fl.